Fairly obviously, the key to any successful audio plugin is how it sounds. But the plugin’s looks also play an important role in it’s usability. A cluttered and confusing UI will only lead to frustration and a disjointed workflow for producers. However, in terms of both desktop and iOS audio plugins, it’s clear that skeuomorphism is the preferred route for many developers when designing their product’s interface – this is arguably more widespread in music production than in any other industry. Skeuomorphism has long been a controversial design style, with many loving the way it makes user interfaces intuitive and familiar whilst its detractors often feel that skeuomorphic designs are cluttered and are no longer relevant. If you haven’t heard of skeuomorphism before, it basically refers to software being designed to look like its real world counterpart. In the early days of the iPhone, Apple were big advocates of skeuomorphism, designing apps to represent real world objects with the intention of making computers intuitive for people who were used to using the real world alternatives. The trash can/recycle bin found on Mac and Windows is a great example of skeuomorphism, it was immediately obvious for anyone new to computers that if you want to get rid of something you simply needed to drag it onto the trash can icon to ‘throw it in the bin’.However, we’ve now reached a point where computers, smartphones and tablets are commonplace and have been for a while. A whole generation of adults have grown up in a world where computers have been ever-present, and so the benefit afforded by skeuomorphic design is now somewhat redundant. Even Apple moved away from Skeuomorphic design with iOS 7 back in 2013, stripping the app icons of shadows and shiny textures in favour of a simpler and clearer flat design. But while everyone else seems to have moved on, the music production industry in particular has been guilty of clinging to skeuomorphic designs, with countless plugins designed to look like hardware. It’s completely understandable why people might want their plugins to look like the real thing, especially for producers who cut their teeth recording with tape machines and racks full of hardware compressors. However, we’ve now reached the point where the number of producers who’ve learnt their craft through digital means outnumber those who learnt with analogue gear. So is skeuomorphism in plugin design really beneficial? Or is creating painstaking digital replicas of analogue gear just dewy eyed nostalgia for equipment that most producers will never own? 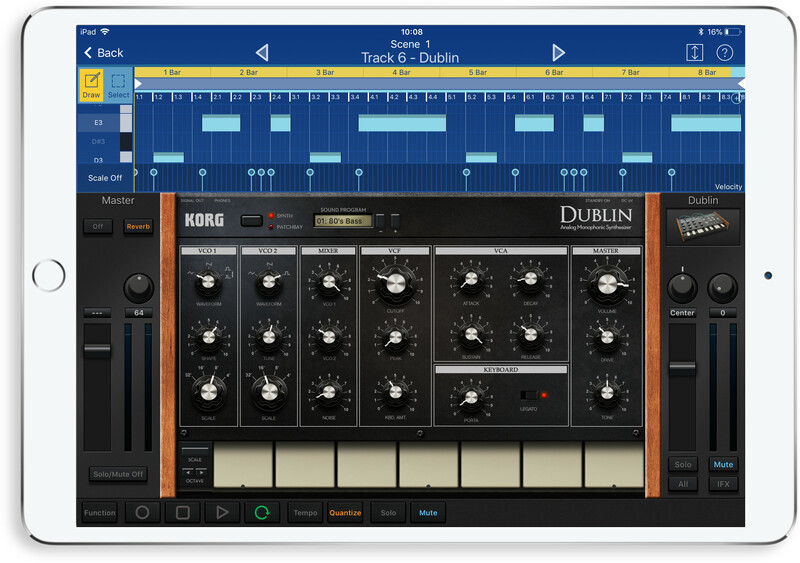 The influence of analogue gear runs deeper than simply how the gear looks, and for iOS audio apps it can sometimes be clear that controls that are perfect on analogue gear aren’t as well suited to a touchscreen. For example, almost every audio app uses a dial control of some kind but are dials necessarily the best solution for touchscreens? Of course controlling parameters with physical dials on analogue gear makes total sense. However, porting these same mechanics across into software is questionable. For example almost every iOS AU features a dial control of some kind, but this really doesn’t seem the most practical way to control a parameter on a touch screen. For a start you’re having to place your finger on the dial to change its position but as soon as you do this you can no longer see where you have the dial set and the smaller the dial is the more apparent this issue becomes. So, are the design flaws of retro music equipment still living on in modern software? In some cases it seems hard to justify interfaces copying the layouts of analogue gear when they only seem to make the app needlessly complicated. It’s more understandable with plugins which are an emulation of a specific piece of hardware, but for many plugins, there is no real world counterpart which makes skeuomorphic design all the more strange. Now I’m absolutely not saying that skeuomorphic plugins are worse than flat design apps. 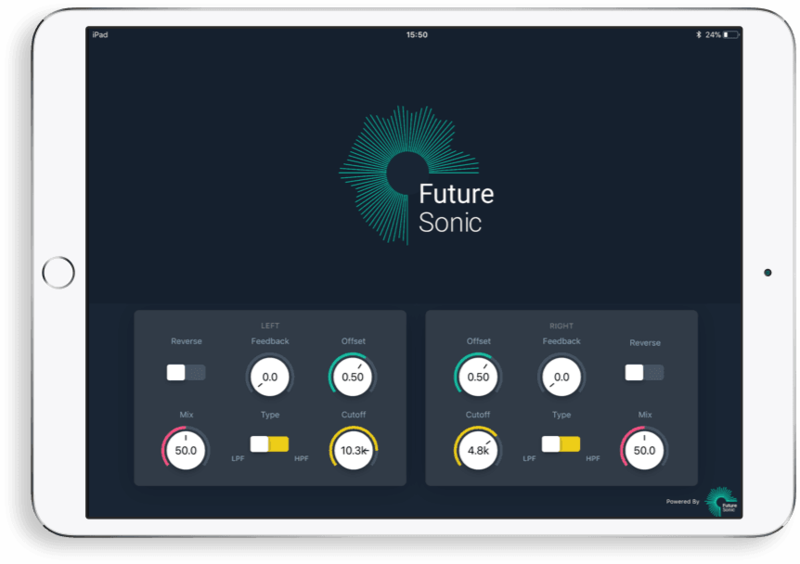 Many of the most highly regarded audio plugins in the world are skeuomorphic, but is it possible that skeuomorphism is having a negative impact on iOS audio plugins?